While the mammoth Sundance Film Festival is currently taking place across the pond, we’re not short of our own great film festivals on this side of the Atlantic. Two of Northern Europe’s best film festivals announced their programmes yesterday – Glasgow Film Festival and Virgin Media Dublin International Film Festival. First up: Glasgow Film Festival. Taking place from 20 February to 3 March. Expect: spectacular event screenings (Bill and Ted’s Excellent Adventure, Fight Club), a great choice of films and an all around good time in one of the UK’s most fun cities. We’re delighted some of our upcoming titles feature in this year’s programme. The line-up of Vertigo titles in Glasgow Film Festival this year: Tell It to the Bees stars Anna Paquin and Holliday Grainger who fall in love in 1950s Scotland; The Hole in the Ground is a unique Irish folk-horror starring Dublin newcomer Seána Kerslake; Thunder Road is a funny, moving, highly original indie film adapted from a Sundance-winning short film; and finally, Jesse Eisenberg and Alexander Skarsgård star as scheming brothers in tense financial thriller The Hummingbird Project. 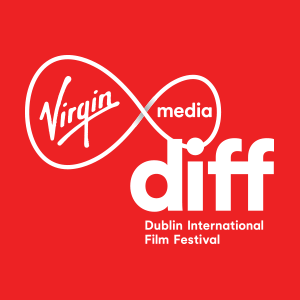 Pop across the Irish sea for the Virgin Media Dublin International Film Festival on in Ireland’s capital, also taking place from 20 February to 3 March. Expect: great Guinness, top notch talent, and a whole bunch of Irish Premieres in some of Ireland’s swankiest cinemas. Don’t miss the Irish Premieres of Tell It to the Bees and The Hummingbird Project!